Samantha Wilcoxson is the author of the Plantagenet Embers Trilogy. An incurable bibliophile and sufferer of wanderlust, she lives in Michigan with her husband and three teenagers. When we envision kings and queens, it is natural to picture them seated majestically upon their throne looking down imperiously at those courtiers who are brave enough to come forward with their requests. Given the few images that survive of Tudor monarchs, that is understandable. These portraits were designed to create that impression, but the daily life of a queen involved much more. A look at an average day in the life of first Tudor queen, Elizabeth of York, reveals a schedule as booked as our own. Due to the great cost of artificial lighting, Elizabeth would have often risen with the sun to begin her day. Lauds was the liturgical dawn mass, and if the queen rose late, she could attend prime just a few hours later instead. Beginning her day in prayer and worship, Elizabeth strove to set an example for all faithful ladies in the kingdom. Before leading her ladies to the chapel, Elizabeth would have needed to be dressed. The ladies-in-waiting who attended to this task at various times included her sisters, Cecily and Anne, and cousin, Margaret (Pole). A dress of damask, velvet, wool, or satin might be chosen as well as a cloak of rich ermine in colder seasons. Deep colours, such as black, purple, and crimson, were preferred for they indicated the status and wealth to afford fabrics that had gone through a costly dying process. Whichever dress was selected for the day would be worn over a linen smock designed to keep sweat and body odour from the costly garment. For special occasions, Elizabeth would be majestically dressed in rich cloth-of-gold and a stunning array of jewellery, but she could dress somewhat more simply on other days. Elizabeth’s responsibilities included acts of charity, keeping her household, and, of course, bearing heirs. As the queen of Henry Tudor, she had the additional charge of demonstrating support for him that would help unite the country and end the infighting between Lancaster and York. To this end, each appointment and gift had to be considered for the impression that it made. From the beginning of their marriage, Elizabeth accepted a submissive role, seeing it as her duty to God and country to support her husband. 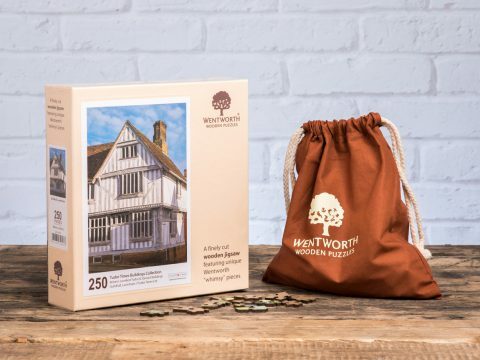 Elizabeth may not have had to spend her morning directing activities in the kitchen and buttery as other Tudor wives would, but she might have spent time after breaking her fast with her household account books. Others would see orders carried out for her, but she still had a large household to budget for and keep in order. This does not seem to have been one of her strong suits, with her love of fine garments and generosity toward others often leaving her going to Henry for extra funds. Other duties that may have filled these early sun-filled hours could be sewing and embroidering. Making use of good natural light was important to Tudor era wives who would not wish to strain their eyes sewing by candlelight. Elizabeth and her ladies-in-waiting would work on altar cloths, simple garments to be given to the poor, and fancier items for themselves and their families. This time was also social as the women chatted while they worked and possibly listened to one of their number play music or read from Scripture. If a move of court was in the near future, Elizabeth would need to organise and direct the packing of her household. Frequent moves ensured that palaces were thoroughly cleaned, rushes replaced, and disease avoided. If the hundreds of people who made up Henry and Elizabeth’s household were to remain too long on one estate, refuse would pile up and illness would begin to run rampant. Therefore, Elizabeth would need to determine what furniture, clothing, and other goods would go with her, what would stay, and what would be sent to another location, such as the Tower of London, for storage. Meals were a relatively private affair for Elizabeth and her ladies unless events or guests made her presence at Henry’s side appropriate. Henry’s household meals would include hundreds of people, all seated according to rank. When Elizabeth joined him, she would be dressed and bejewelled, possibly with a crown atop her loose red-gold hair. On a typical day, however, she took meals within her private chamber with her ladies. Leading her ladies to mass at midday, the chapel of whichever palace the queen was in residence would resound with music of praise and Latin prayers. The return to devotion throughout their day would keep the women centred upon their God given duties and charitable works. However, the day would not necessarily be completely taken up with responsibilities. Elizabeth enjoyed leisurely pastimes as well. Elizabeth was fond of spending time in her gardens, where the ladies might snip cloves or mint to freshen their breath. Cards, dice, music, and dancing might take up a portion of the day, or the women might join the king’s household to observe plays, acrobats, or the antics of court fools. During this time with Henry, he might ask Elizabeth for her opinion on matters of state, especially where they concerned people whom she had known much longer than he had. It is true that Henry did not depend upon Elizabeth politically, yet he was too shrewd a man to not take advantage of the knowledge and perspective she could offer. Henry and Elizabeth agreed that her first concern was for children, and they were almost immediately blessed with their first. Prince Arthur was born a scant eight months after their marriage, so Elizabeth’s time as queen coincides with her time as a mother. Even before Arthur was born, she would have begun planning for his education and household. As the royal brood grew, Elizabeth spent significant time directing the care of her children and participating in their life herself much more than many queens of her era. Still, her priority was Henry, and the two were seldom apart, even after separate households were set up for the children. If the weather was favourable, Elizabeth might form a hunting party or go hawking. Archery was another outdoor activity enjoyed by both the king and queen. The ladies could also serve as spectators as the men challenged each other to bowling or tennis. Their court could be the scene of elaborate entertainments including music, plays, and jousting, but Henry and Elizabeth also enjoyed evenings spent in private rooms enjoying each other’s company like any other married couple. The royal couple may have chosen to attend nones or vespers mass together, their faith being a vital characteristic strengthening their marriage. Henry believed God had called him to be King of England, and Elizabeth was just as certain of her place at his side. Their court was not filled with the promiscuity and licentiousness that had defined that of Elizabeth’s father, Edward IV. An oddity for a king of any era, Henry is noted for his monogamous faithfulness to his wife. Even when travelling, the couple celebrated the liturgical hours using a portable altar. This shared piety would have also aided the bond between Elizabeth and her formidable mother-in-law, Margaret Beaufort. As the sunlight so necessary for the accomplishment of many daily tasks faded, Elizabeth might be called upon to entertain ambassadors or respond to letters and requests while the light still made writing possible. Candles could be brought out to extend the day, but that is an indulgence Elizabeth’s son and namesake granddaughter are better known for. Instead, Elizabeth was famous for the generosity of her charity, whether to orphans, debtors, and priories or her own family members in need of assistance. Elizabeth also received many gifts, both great and small. From subjects, she received simple gifts of apples, cherries, and fish, while noblemen and foreign princes gave jewels, rich fabrics, and delicacies such as oranges. Of course, each gift was graciously reciprocated. The average person living in Tudor times kept their sleep schedule according to when daylight was available. Elizabeth had the ability to extend her day beyond sunset with use of costly candles to illuminate her rooms. When she was ready to retire, her ladies-in-waiting would assist her out of her layers of gown, kirtle, and sleeves and into a linen dress for sleeping in. Bathing was, by modern standards, infrequent, but Elizabeth would have daily rubbed her body with linen clothes to stay fresh and clean. At least one of her ladies would be assigned to sleep in the same room as the queen, while others kept their guard from the next room, keeping any visitors from passing into the private bedchamber. One welcome visitor would have been Henry. On nights when he decided to claim his marital rights, the ladies would give them privacy and Henry’s men would be placed at the door. The conceiving of royal children did not allow for as much privacy as modern couples prefer. Yet, within their canopy bed with the curtains pulled tightly around them, Henry and Elizabeth would not think of the many people who knew what they were up to. The queen’s day might end with a prayer that she would soon find her womb quick with child.